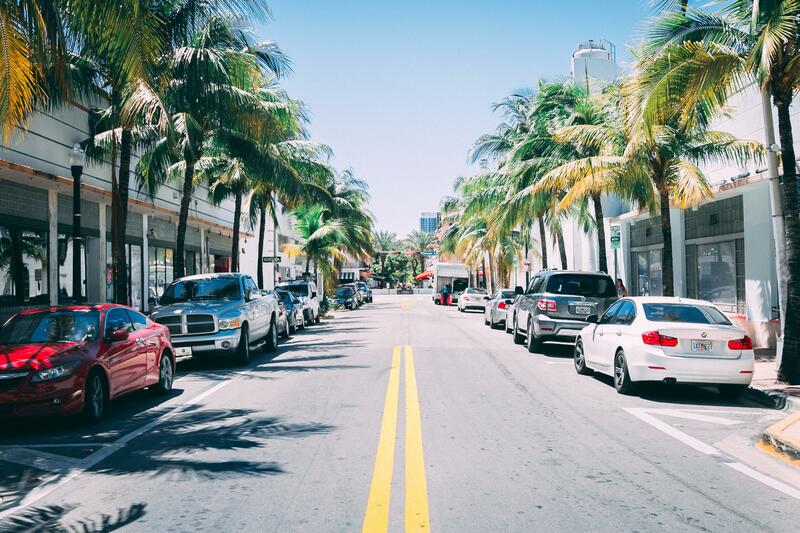 This South Beach, Miami street may be among those that employ the technologies that make up a "smart city." Governor-Elect Ron DeSantis’ economic transition team held a conference call this week to pitch suggestions on what will drive Florida’s economy going forward. WiFi signal on highways, statewide 5G cell phone service and “smart cities” friendly to automated vehicles; all that and more could be the future of Florida’s economy. At least, that’s according to those advising DeSantis on the economy. “I think we need to get to a point where we’re looking at smart infrastructure in that State of Florida,” said Ananth Prasad, former secretary of Florida’s Department of Transportation and President-Designate of the Florida Transportation Builders’ Association. Prasad describes “smart infrastructure” as a system in which automated cars can “communicate” with the infrastructure around them, as well as other self-driving vehicles. To Prasad, the technology represents an opportunity to increase safety. “If you think about the fatalities on State roads in the State of Florida – 80 percent of those fatalities are because of driver error,” Prasad said. Joe York, president of AT&T Florida, explained a bit about what 5G wireless service is and how it will make commerce move. “It is significantly faster – you’re talking about speeds that are similar to what you would get with a fiber-based product; potentially as fast as gigabit speeds, wirelessly,” York said. York insists 5G will be expanding through the state starting in the coming year. He adds achieving a true “smart state” will depend largely on how much his industry is involved. “Florida’s going to be a 5G state. We’re going to have ubiquitous coverage, and we’re going to be a ‘smart state.’ All of those things have to come with encouraging the investor – i.e. the wireless companies and the cable companies to continue investing their dollars,” York said. And the hunger for omnipresent internet connection extends to the state’s highways. Current Department of Transportation head Mike Dew says drivers could have WiFi every time they hit the road. Not everything discussed by the economic transition team centered on futuristic technology. The group has interest in strengthening Florida’s ports, something championed by outgoing Governor Rick Scott. Dew says when working in government, not every investment pays off. But he insists investing in ports is a sure thing. “The investments in airports, seaports, rail, roads, bridges – it’s undeniable,” Dew said. Eric Green, CEO of the Jacksonville Port Authority, backed that up in relation to seaports using some data. “Florida Ports have generated approximately about 13 percent of the state GDP and support 900,000 jobs – which generate about $4.3 billion in tax revenue,” Green said. Green says Florida’s seaports have an edge against their domestic competitors. “Florida is the only state in the country with seaports on two vital U.S. water shipping lines, at the Atlantic and the Gulf,” Green said. Governor-Elect Ron DeSantis also this week tapped a new leader for the State Department of Economic Opportunity, choosing current Visit Florida CEO Ken Lawson. It’s a job seeker’s market. The tri-county region of Leon, Gadsden, and Wakulla has an unemployment rate of 2.9 percent. Help wanted signs are common, and it’s even worse for businesses that need extra help over the holidays. CareerSource Capital Region CEO Jim McShane says his staff continues the push to match companies with workers who have the needed skills. Second Harvest of the Big Bend had what could be a record month in food distribution for the nonprofit during November. The food bank circulated more than one million pounds of food last month.